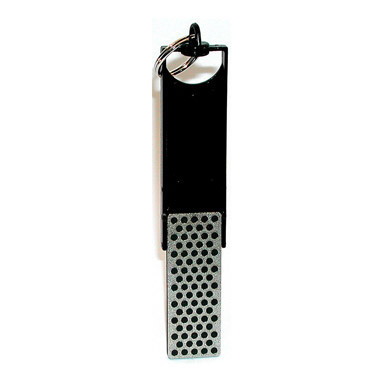 Diamond Mini-Sharp Sharpener - a Diamond Whetstone that travels with you. Folding handle protects the stone when not in use. Lightweight and ultra portable. Lightweight and ultra portable, handy key chain swivel ring for your keys or attach to zipper pulls or backpacks.